On Thursday, President Obama dedicated the National September 11 Memorial & Museum at Ground Zero. It opens to the public next week. And now, a pair of simple but powerful new ads from BBDO New York (and Imaginary Forces director Alan Williams) offer a glimpse of the tragic history on display there. The first replays the surreal view from the International Space Station of smoke billowing over lower Manhattan on the day of the attacks, along with the commentary of astronaut Frank L. Culbertson. The second, voiced by Robert De Niro, focuses on the burnt and twisted watch that belonged to Todd Beamer, one of the passengers who revolted against the hijackers on United Flight 93, causing the plane to crash in rural Pennsylvania, killing everyone on board but sparing countless others in the intended target of Washington D.C. 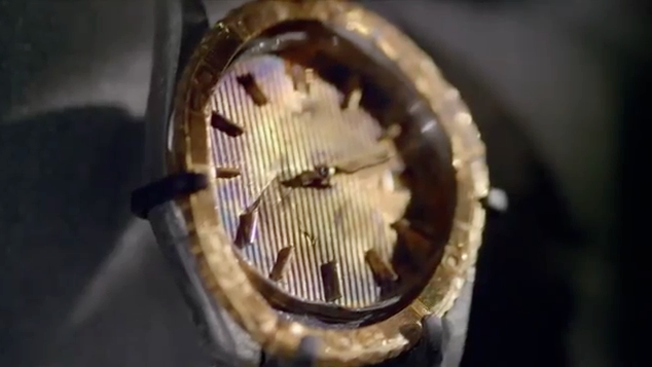 The copywriting in the Beamer ad flirts with somewhat melodramatic language that doesn't necessarily do a service to gravity of the overall subject matter, stating the already heart-wrenchingly obvious fact that the watch can no longer tell time. But it does make its point that the artifact's role has shifted from utilitarian to something much more significant. The ads also have the challenge of being, essentially, tourism spots—which can feel jarring. (Indeed, they close by asking you to "Plan your visit.") But they do so with as much respect as they can. And both ads are, in and of themselves, sobering reminders of that day—and thus function much like the memorial itself, on a smaller scale.